The organizers of the bazaar has generously offered another giveaway for COANM readers who are attending the bazaar! This time, it is a luxury for breastfeeding or pregnant moms - a lactation or prenatal or postnatal massage with breastfeeding counseling from Zalor Massage and Consultation. Lactation massages are not essentials for you to successfully breastfeed your baby but it is a luxury that any breastfeeding mom will definitely enjoy. 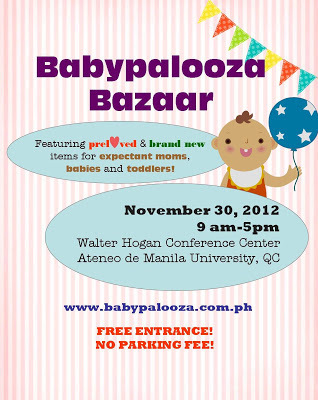 Kat of Babypalooza shares that she had a lactation massage from Lorena while she was establishing her supply. Kat experienced pre-eclampsia during her pregnancy and delivered her baby prematurely. Her baby was also not breathing and grayish upon birth. Kylie was 3.1lbs and was smaller than your average preemie. However, Kat was determined to provide breastmilk for her baby and starting expressing milk as Kylie was not yet allowed to nurse directly. During the early days, Kat had problems establishing her supply so she had to rely on breastmilk donations. Kat shares that although she was sad that her baby's first milk feeding was not her milk, it was heartwarming how strangers quickly stepped up to offer breastmilk and sustain Kylie. Kat was able to connect with other breastfeeding mothers who donated milk to her baby. Luckily, these moms encouraged her to continue, answering her questions and assuaging her concerns. Kylie was eventually able to suckle from Kat. Because of this, Kat was able to build up her milk supply and exclusively breastfeed Kylie. Aside from your usual bazaar sales, the Babypalooza team has also set-up breastfeeding consultation areas to help new moms get help for their immediate concerns, through Zalor. The proprietor of Zalor is Lorena Orejola, who I met through Arugaan. Lorena shares that she trained under Nanay Lita Neri, one of the leading lactation massage experts in the Philippines. Lorena also received training from Fabella hospital. 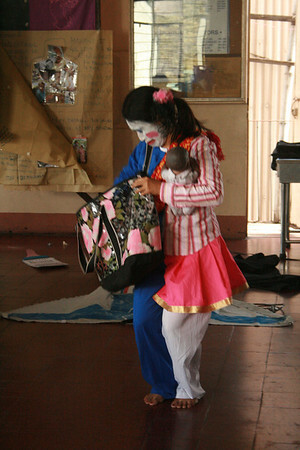 Through Arugaan, Lorena participated in several World Health Organization initiatives to promote breastfeeding awareness in the Philippines. I included Lorena in this list of lactation massage providers I wrote in early 2011. Venue: Walter Hogan Conference Center, ISO, Ateneo de Manila University, QC campus. For this giveaway, one mom will win a lactation or prenatal or postnatal massage with breastfeeding counseling from Zalor Massage and Consultation. The giveaway will run from 19 November 2012 until 28 November 2012. 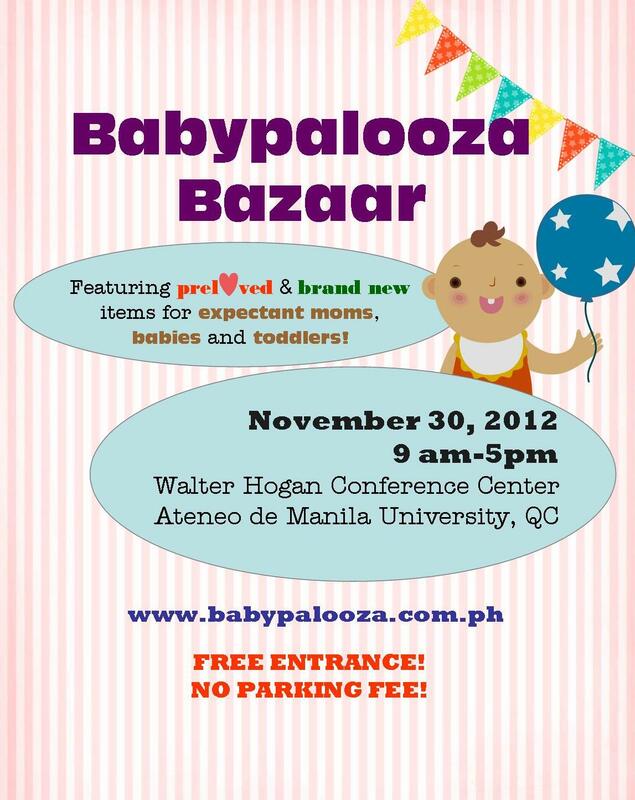 Please note: you can only claim your prize at the Babypalooza Bazaar. If you cannot claim the prize there, it will be forfeited. The winner must PERSONALLY claim her prize. Join through Rafflecopter below. Win a Mayumi & Me Gift Box! DepEd bans milk giveaways in schools! How was your Halloween 2012? Does it have to be a contest? New Bazaar and a Sophie the Giraffe Giveaway!